Now, whether “sea” was meant to be taken methorapically is uncertain. 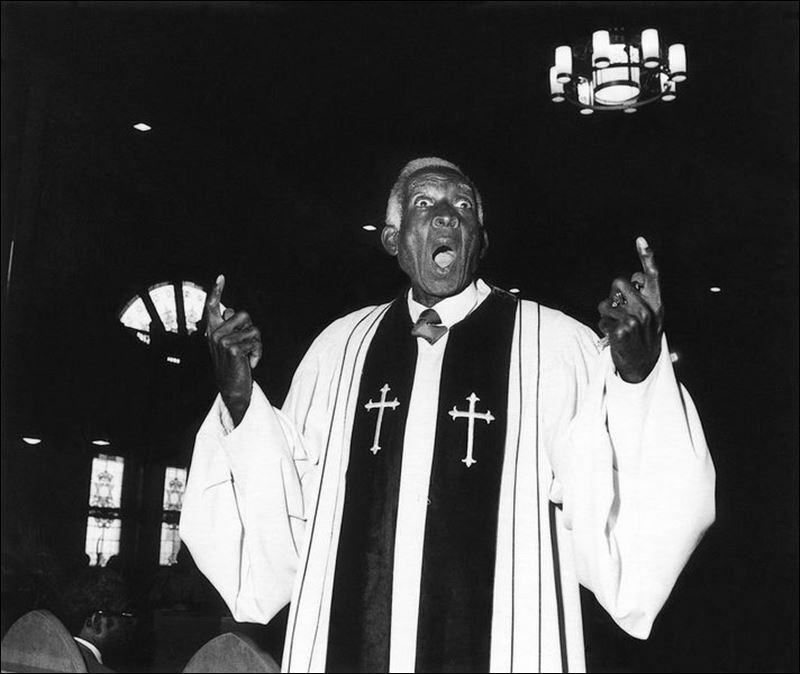 The hymn, while mentioning storms, was written by the great “Father of Gospel Music” Reverend Dr. Thomas Dorsey. In the late 1920’s and into the 1930’s Dorsey took the African-American spirituals that were so well known and beloved and wove them with the blues and jazz that was becoming so popular and giving voice to so many. In was in 1932 while leading a church service that Dorsey was given a telegram. His wife had just died while in childbirth. The following day the newborn died as well. Dorsey was in the midst of a storm that left him in despair and doubt. He truly believed that he would never write another hymn again. A week later, deep in grief, Dorsey sat alone at a piano in the music room of a dear friend. It was there that he felt a deep peace that he had not felt in a week. As the peace fell over him, Dorsey started playing the piano. It wasn’t long before his fingers found a melody and the words that followed gave birth to Precious Lord, Take My Hand. Dorsey was not at sea, but was facing a strong storm in his life.